The first time The Blacksmithed met Isaac Wilson was around this time last year at ‘Night Of The Elite’ event. At that time we were shooting EC Hip-hop Diaries season 1, on that night however we were there to document the show. Isaac Wilson was the opening act that night but the way he brought the house down was on some other level. He had everybody jumping and chanting, he had dancers on stage doing their thing, we were never ready! At that moment we knew we had our next episode. When he got off stage, we approach him about the interview and he agreed. Fast forward to 1 year later and OTE is hosting #NOTE2. They going bigger, new venue, better format and last year’s opening act is shutting the show down! That right there is #Levitation! Q: Yo! You killed it last week, no lie… You about to drop a tape, can you tell us about this tape, who are some of the people you worked with? Isaac: Thanks for the compliment. Everyone who was part of that event made it awesome. I feel honoured to be amongst such a great movement as OTE and yes I will be dropping a project on Monday titled ‘Levitation’ (Levitate) and it consists of verses from M2kane, D’Obz and vocal help from BAlone. Q: You a rapper/producer, does that mean you handled all the production on this tape? Isaac: Eish, I would have liked to but there’s a beat I have from Woli Native (House Native). There is also Kxng Luu who has been co-executive producer of the whole project. I’m fussy with my sound but with this body of work I trusted Luu as we have been working together since 2010. Q: It’s been a long and hectic journey getting to this point. Not too long ago you announced that your PC had crashed and you lost a bunch of your music. Just how much did you lose and how did ‘Levitation’ survive? 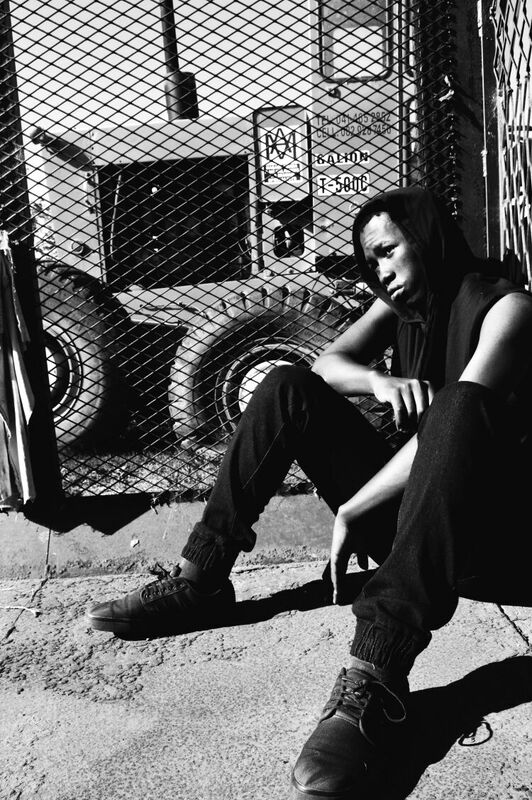 Isaac: The idea for the tape was spontaneous as one day I was thinking of a follow up single to ‘Levels'(which features M2kane) so I ended up writing, making beats and recording 5 tracks on my laptop on the same day. Every track revolved around ‘Levels’, so much that I ended up thinking of making a short EP named ‘Levels’ but Aka had a project named such. I ended up being more elaborative and named it ‘Levitation’. I recorded some of the music at Kxng Luu’s place, those songs got saved. All the other music got lost, even ideas I recorded for future projects. I remade some beats from memory, changed some and made new music. I wrote new verses and put in the work in order to fulfill my promise of dropping my project October 31st. Q: We had the pleasure of hearing some songs off the tape at #NOTE2. Your whole set plus sound was mad different from what is being put out right now, does that make you nervous? Isaac: Yeah it really does, even my delivery, flows and projection has changed. This is a blueprint of the sound I want to push as an artist. I’m stressed yet excited at the same time. That is why I can’t wait for Monday. Q: Some words that stuck with me from your set are levitate higher, levels, would you say that these are the pillars of the tape? What’s the message you trying to carry through with this tape? 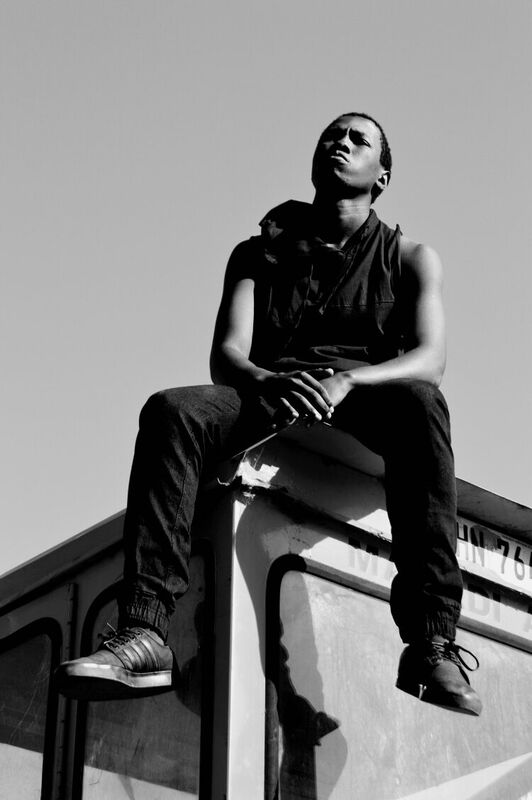 Isaac: On my first single, ‘Levels’ I was talking about me reaching new levels lyrically and with my artistry. This whole tape is an exhibition of such, basically. The main message on this tape is for one to never limit one’s self and if the respect for yourself is Godly then you know God. You don’t need enhancements such as weed, alcohol, lean etc. to reach a certain level of knowing and expressing yourself in whichever way. Q: Just to move away from the tape for a bit, we see your credits everywhere nowadays but one credit we feel we need to ask about is your production credit on ‘Wavy’ by Slogan. How did that PE x Butterworth link up happen? 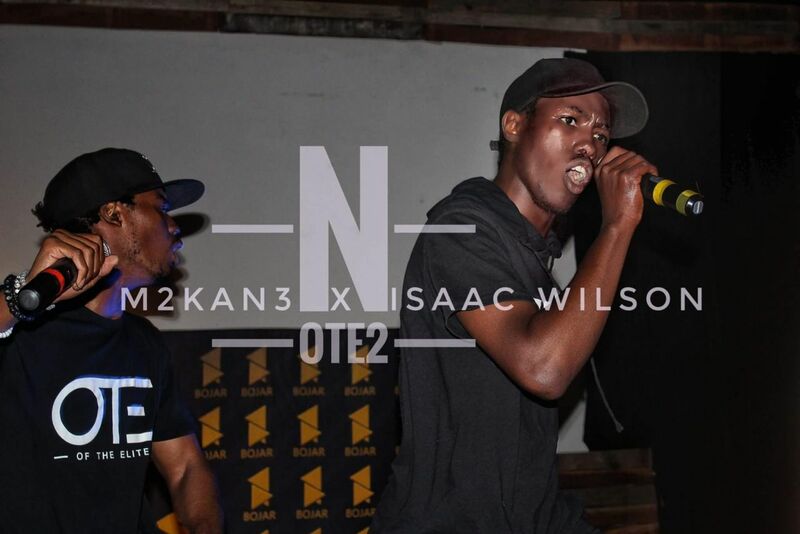 Isaac: Awe, uhmmm… Actually the first person to approach me to rap at NMMU in 2013 was Just Aya, he had just started Braveyard Hip-hop Society and that led me to meeting M2kane, which later led to me joining OTE. Just Aya has a label named D.A. Labs, Slogan works under that label. We have collaborated before on his track titled ‘I’m A Beast Remix’ which featured me, M2kane, Misfit, M-Repper and others. I’ve been working with D.A. Labs for years. I’m friends with Slogan and I respect the youngin. We have been working closely this year and there’s more music that you’ll hear from Slogan and I. There is nothing more we can say from now until the tape drops on Monday 31 October. Uy’tye yonke! #Levitation will be dropped exclusively on The Blacksmithed.